Its a lot of paper, so sending it all through mail, will be to expensive. A few numbers, is of course possible. Whats left after march 26, will be recycled. Hello. I'm interested on the magazines. @Manuel, no. Year 1, Issue 2 - November 1989. " Informatie bulletin voor MSX gebruikers" Its 12 pages. I've checked my own set and although they put a "Volume" (Jaargang) on it, the numbering scheme is continuous: they just keep on numbering. So, looks like you have number 2. And I don't, so I'm interested. 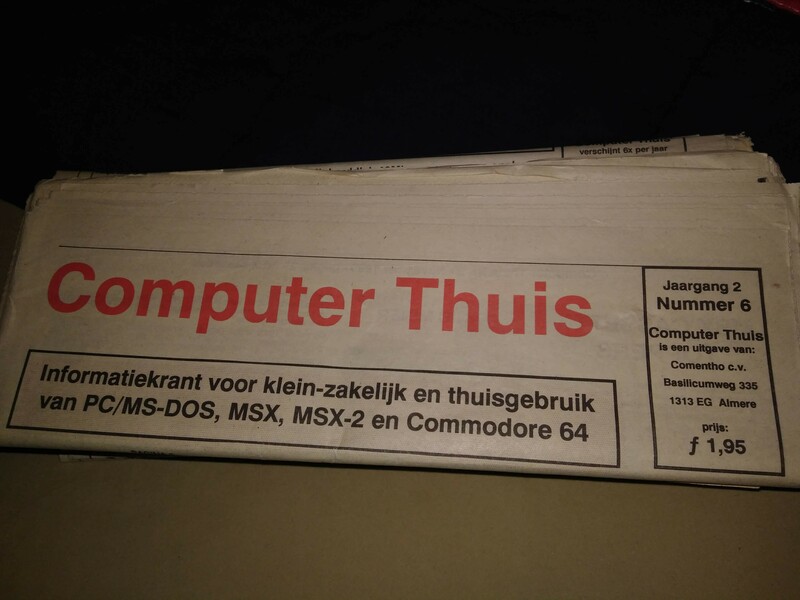 well, mine says : MSX Computer Thuis. I don't know about your magazine, but the one I have a more or less a publication done by a computer soft/hardware vendor (Time Soft Publishing ltd). It's more a sales folder with some review mixed in.